As the central and often most prominent feature on our face, our nose is not something that can be hidden by a hairstyle or good makeup. 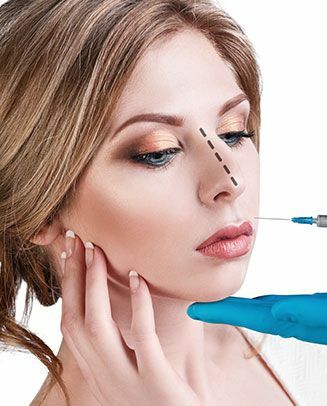 An increasing number of people can now enhance the shape, size or overall appearance of their nose with plastic surgery. Rhinoplasty, sometimes referred to as a "nose job", refers to cosmetic surgery performed on the nose, to help patients achieve an enhanced appearance. Since every nose is unique, there are multiple types of rhinoplasty, depending on your individual needs. Perhaps unsurprisingly, reduction rhinoplasty works to improve the patient’s appearance through resizing the nose to make it smaller. When a patient chooses reduction rhinoplasty, they can choose to reduce specific areas of the nose - for example, the tip, hump or bump - or to lessen the overall size of this feature. 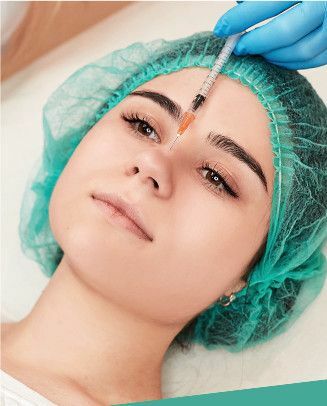 Reduction rhinoplasty usually involves removing cartilage and/or bone from the nose, so that it can be recreated in the desired size and shape. There is no need to remove any skin, as it will automatically shrink down to fit your new nose. Most people who choose reduction rhinoplasty do so because they are hoping to achieve a nose that is less prominent, more proportional to other facial features and gives them a balanced, aesthetically beautiful appearance. 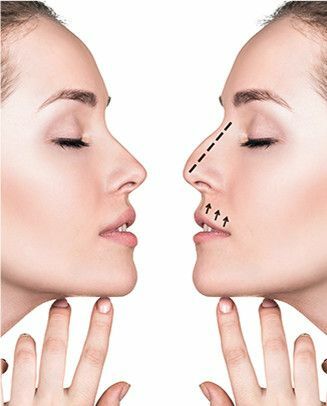 In contrast with reduction rhinoplasty, augmentation surgery is performed to increase the size of specific parts of the patient’s nose in order to improve the way that it looks. This can include adding height to the bridge of the nose, or changing the appearance of the tip so that it has greater projection. The grafts used in augmentation rhinoplasty may either be cartilage or bone grafted from the patient’s own body (such as from the ear, rib or hip), or made from approved synthetic materials, like medical-grade silicone. Augmentation rhinoplasty is commonly requested by patients who wish to make changes such as correcting a flattened nose or creating a more prominent one. Post-traumatic rhinoplasty is only recommended for patients who have suffered an injury or medical trauma to their nose. This can cause damage to the bone and cartilage and create breathing problems, as well as impacting the aesthetic appearance of the nose. If it is just the bone or cartilage that is damaged, this can normally be reset with relative ease within the first ten days after the injury, and the success rate is reasonably high. However, more complex injuries and traumas may require the patient to wait six months or more before extensive correctional surgery can be safely performed. Nasal reconstruction is recommended to help patients with excessive tissue loss from cancer, trauma, or other diseases. Since the nose is one of the most intricate features on the face with multiple subtleties, nasal reconstruction surgery requires an experienced rhinoplasty surgeon with an eye for detail. Septoplasty is a variety of rhinoplasty that is designed to fix a deviated nasal septum. The septum is the piece of cartilage and bone that divides the nose into two chambers. A deviated septum occurs when this piece of cartilage is not in the correct place. It may be bent, buckled or deviating to one side, and this can occur from birth or as a result of an accident or injury. Although septoplasty is not a cosmetic procedure in that it doesn’t alter the shape or appearance of the nose, it can be out alongside cosmetic rhinoplasty in a surgery known as septorhinoplasty. Sometimes illness, addiction, vasculitic diseases and other problems can cause the septum to perforate or erode. In these instances, it may be possible for a patient to have septoplasty reconstruction, which you may have guessed from the name, refers to the surgical reconstruction of the septum. The repair involves using grafts of cartilage from your ear, or using flaps inside the nose. Mild to moderate perforations may be repaired in just one surgery, whereas more complex cases may require several stages in order to successfully reconstruct the nose. Revision rhinoplasty is designed for patients who have previously undergone rhinoplasty surgery which has been unsuccessful, or when the patient is unhappy with the result. This can include the aesthetic appearance, as well as the function of the nasal passages and airway. Rhinoplasty is one of the most difficult cosmetic surgery procedures, and there is a large market for additional surgeries to help the patient achieve the result that they are looking for. This could include elements of all of the above procedures, including residual bone or cartilage removal or grafts. In revision rhinoplasty, the skin on the nose can prove to be a limitation, due to scarring or resistance to repeated expansion or irregularities with the surface of the skin. Dr. Metzinger will be able to advise if revision rhinoplasty is the right course of action for you on an individual basis. The inside walls of the nose contain three pairs of long, thin bones which are covered with a thin layer of tissue. These bones are called nasal turbinates, and they form an important part of the structure of the nose. However, allergies and/or nasal problems can lead to these turbinates swelling, inhibiting some of the flow of air through the nasal passages and making it harder for the patient to breathe. Turbinate surgery addresses this problem and may involve changing the position of or removing some of the lower turbinate so that your airways are clearer. Dr. Metzinger is a triple board certified surgeon will over three decades of experience who can perform a range of rhinoplasty surgeries with meticulous care, precision, and skill. To find out more about the rhinoplasty services offered, or to make an appointment, please contact our modern, welcoming offices today.